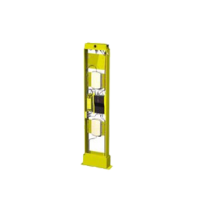 RFID Portals for Doorways & Corridors | GAO RFID Inc.
GAO RFID provides a selection of RFID portals designed for reading tags in entrance, gate, door, and corridor zones. 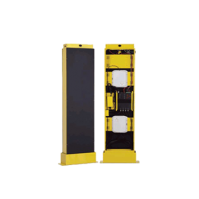 Our portals offer an esthetic way to build RFID reading capabilities into any environment, making RFID interrogating visually unobtrusive and highly automated. Our RFID portals are used for asset and inventory tracking in both retail and office applications. 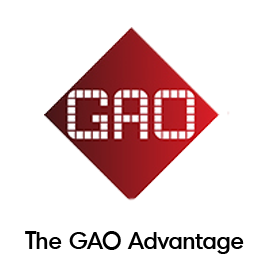 GAO RFID provides a selection of RFID portals designed for reading tags in entrance, gate, door and corridor zones. 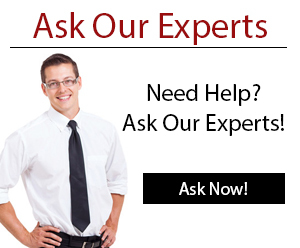 Portal readers are FCC 47 CFR Part 15, Canada RS210 certified and are supported in the US, Canada and other regions following US FCC Part 15 regulations. It supports EPCglobal UHF Class 1 Gen 2 / ISO 18000-6C protocol. The RF output of this portal is 902-928 MHz, 4 Watt EIRP. These readers have various communication interfaces such as Ethernet, Internet Protocol, and optional Wi-Fi 802.11 b/g. These RFID portal support GAO 216004 Enterprise Reader and has a circularly polarized antenna. The RFID portal operates at -4°F to 122°F ( -20oC to 50o C) and has emission certificate FCC 47 CFR Part 15, Canada RS210 (ALR-9800). It has protection standards of IP 52, IP 53, IP 54 which can withstand harsh environments. The RFID portals offer an aesthetic way to build RFID reading capabilities into any environment, making RFID interrogating visually unobtrusive and highly automated. 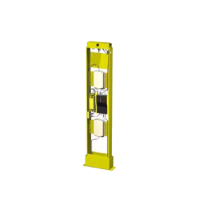 They are used for asset and inventory tracking in both retail and office applications, doorways, hallways or docks, and can also provide general zone coverage, institutions such as healthcare facilities, for retail, or for attendance or access control applications and is ideal for monitoring pallets, equipment, files or people. Please see our full selection of RFID portals below. This double-sided portal includes one GAO 216004 Enterprise Reader and four circular antennas (326008). The series of RFID Dock Door Portal Seriess are durable and easy-to-install portal appliances for the GAO 216004 Enterprise RFID Reader. 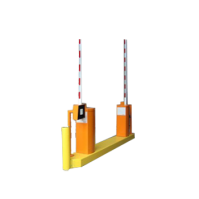 This versatile parking barrier gate operator is a heavy-duty, high performance barrier gate designed to provide a complete RFID parking solution. 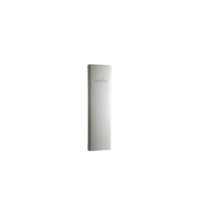 This high performance RFID portal Reader combines an industry-leading EPCglobal UHF Class 1 Gen 2 RFID reader with a highly innovative Dual-Linear Phased Array (DLPA) antenna. This single-sided portal includes the GAO 216004 Enterprise Reader and two circular antennas (326008). 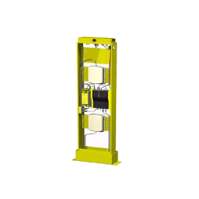 This a single-sided extended height portal accommodates heights up to 96″ and contains one GAO 216004 Enterprise Reader and four circular polarized antenna (326008).